October 17th, 2017 was a big day for the Ban Chiang Gang. Monograph files handover day! 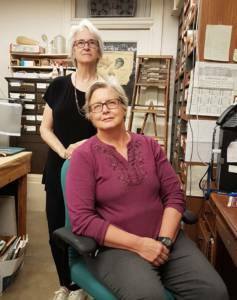 Elizabeth Hamilton and Joyce White handed in all the files revised after peer review for 4 (yes 4) sub-volumes from the original gargantuan manuscript we handed in last year. 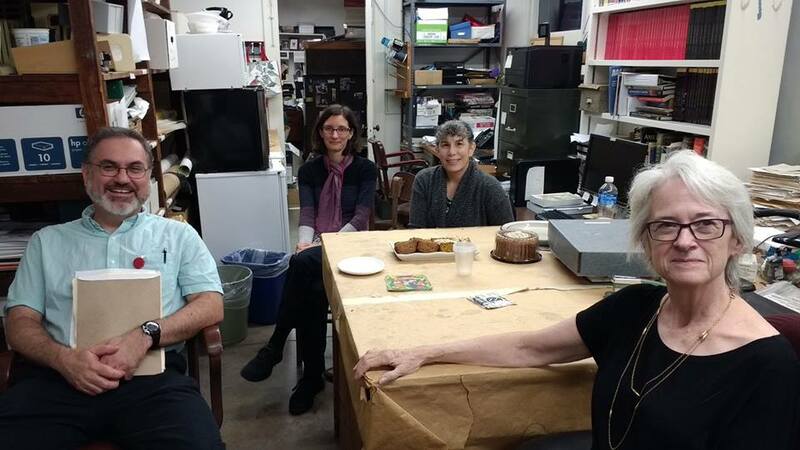 Also at the handover was Page Selinsky and Janice Barrabee who both did preliminary editing, and Jim Mathieu head of Museum publications.Unable to attend was Ardeth Anderson who was too busy on other projects. But she has slaved away for years on the imagery that is included in the volumes. Jim needs to check that we did what the peers requested, then get go-ahead approval of the editorial board. Next steps after that are copy editing, then layout (both handled by Page Selinsky), then proof reviews, index making, and finally printing and binding. The volumes will come out one at a time over several months. Joyce hopes to bring a copy of the first volume to the IPPAs in Hue next September, along with order sheets. There will be an e-volume option. We look forward to your responses to our work!